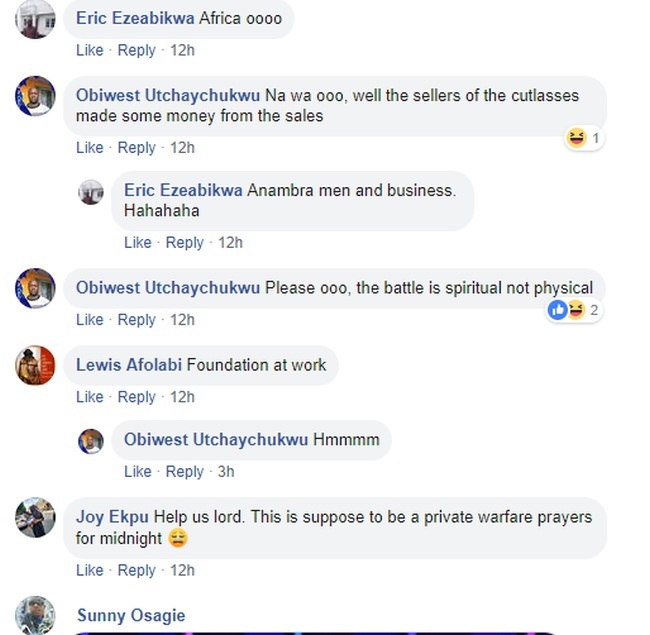 Nigerians have reacted after church members stormed a watchnight service with cutlasses following instruction by the pastor. According to reports, the pastor said that each church member should come for the cross over night with a sharp cutlass and a red cloth for serious spiritual battle. In a trending video which has gone viral online, the pastor can be seen leading his congregation in an intense prayer while the members including women used their cutlasses to probably beat the hell out of the devil – while sitting on the ground. The footage has sparked reactions from various internet users. See below.